How much time do you spend looking for survey websites that reward you for taking surveys? Only to end up registering with survey websites that pay very little or not at all. Or, you might want to become a product tester, but don’t know where to start. Reputable product testing companies. That give you the opportunity to test a wide variety of products in exchange for your honest opinion. Survey websites that actually pay. Apps that reward you for downloading other apps. Search engines that reward you for searching and shopping. When I first started taking surveys, I earned the most money on Points2shop. After choosing your username, password, and entering your email. The rest is just filling out all your profilers. Completed profilers match you with the appropriate surveys. So, make sure they're done before you dive in. Ordering might not be the first thing on your mind. But, it's best to go ahead and provide your address in the account section for future orders. Points2shop starts you off with 250 points. The 250 points can be used to order any low-cost item in the Reward Gallery, of which there are many. As a new member, you are sitting on thousands of points. There are tons of high-paying offers available to you. So, take advantage of being a new member for as long as you can. Points2shop also gives you the option to earn points or cash. Cash can be converted into points. But points can't be withdrawn nor converted into cash. Keep in mind, when you order your first item you are no longer a new member and can't do new member offers. Your honor level changes to bronze. · You can earn up to $1.50 for every new referral. · Compete in paid games to win points. · Play Spin2Win to earn merits and tickets in the weekly lottery. Sweepstakes entries for gift cards can be won in the Spin2Win. To give you a better chance of winning a gift card, sweepstakes entries can also be earned after a survey disqualification. · Once your merits accumulate. Participate in the Merit Contest. I recommend getting at least 15-20,000 merits before entering. The more merits, the better chance you have of reaching the top spot for the highest cash prize. · Unlike the Merit Contest, where you must manually enter. The High Value Contest automatically awards cash prizes to the first ten people who’ve earned the most money from the beginning of the contest until the end. · The Referral Contest awards a cash prize as well if you don’t mind doing a little promoting. Invite your friends using your email. Or promote with social media and banners. · Points can be used to order anything from the Reward Gallery. The Reward Gallery offers every item from Amazon.com. · Points2shop also has a withdrawal section. 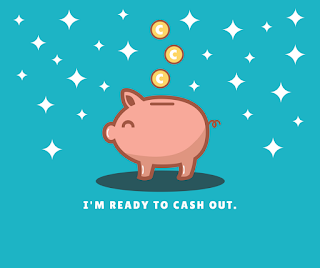 In this section, cash earnings can be withdrawn using the following methods: Paypal, Dwolla, Global Virtual Visa Reward, Check, and Amazon gift card. · Global Virtual Visa Cards and Amazon Gift Cards can also be purchased through the Reward Gallery. SurveySavvy sends survey invites to your email account as soon as you register. 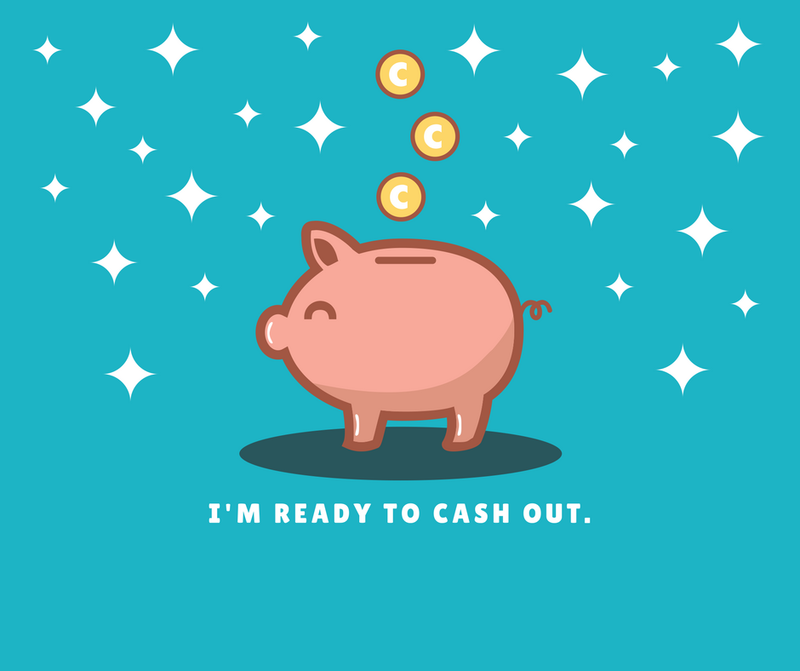 The minimum payout is $1 and since there is no maximum payout amount, you can let your money build up in your account until you’re ready to request a check. If you don’t qualify for a lot of surveys, there’s a chance you might qualify to join a panel. Those invites usually pay an incentive of gift cards, PayPal, or cash. You can earn with referrals and SavveyConnect as well. SurveySavvey will pay you 5$ a month to install SavveyConnect on your phone, computer, or tablet. SavveyConnect gathers information on how you surf the web. The only way to earn from Nicequest is by taking surveys. Survey invites are sent to the email you signed up with. They recently started to send more survey invites than usual. So, you can earn faster. Instead of earning points or cash like some survey sites, Nicequest pays you in shells. You can spend your shells on anything from gift cards, food and beverages, electronics, home appliances and more. There’s even the option to donate your shells to charity or enter one of their many drawings. Whatever you decide to order, they provide free shipping. You can only join Nicequest by invitation only. So, look out for invitations through their partner campaigns and social media channels. Survey Junkie sends short and fun surveys to their members. After you take each survey you will be rewarded with points. The minimum amount to redeem your points is $10.00 or 1,000 points. You can redeem your points for PayPal cash or an e-Gift card. Sign up today and start earning! Join CVS Pharmacy Advisor Panel, take surveys, and earn ExtraBucks. ExtraBucks are coupons that can only be spent at CVS in-store or online. You can use your CVS ExtraBucks to buy most of the merchandise from CVS. Except for money orders, lottery, alcohol, prescriptions and co-pays, postage stamps, gift cards, pre-paid cards, newspapers and magazines. All CVS Advisors must have an ExtraCare card in order to use ExtraBucks. You can get an ExtraCare card at your local CVS or you can call the ExtraCare department at (800) SHOP-CVS. After registering, it's very important to fill out all your profiles. Completed profiles will help ProductReportCard match you with the right research studies. If you don't complete your profiles, you won't get invitations to studies. If you were to do a search on ProductReportCard, you might find that like any company, some people like it, some don't. When I first joined, one thing I didn't like was the long wait on surveys crediting. Once you complete a survey, you would assume that the credit amount is cleared and in your account. But, there's more to it. The credit amount is pending until they close the project. This can take as little as a few days or as long as a month. So, why do I like this company? Obviously, not for the surveys, as the incentives from the surveys take a while to clear. But, I’ve gotten a chance to try a lot of products for free through their partners. And join quite a few paid focus groups and consumer panels. When the invitations come to your email, it’s best to do the ones you're interested in before the quota fills. That goes for product testing offers too. · When your earnings reach $25, you can redeem your reward via PayPal, check, or pre-paid gift card. · If you're accepted to one of the focus groups or panels, those incentives are sent directly to you. PINCHme has sent me all kinds of samples. Everything from snacks, laundry detergent, and hygiene products. All they ask is that you complete your profile surveys in order for them to match you with the right samples. When they find the right samples for you, PINCHme will send you an email telling you your samples are ready. After you pick the items you want and click the order tab, all there is left to do is wait. When your samples arrive head on over to PINCHme and do your feedback surveys. Don't forget to promote them on social media. During their twitter giveaways, you get the chance to win PINCHEme boxes loaded with three times the number of goodies. Below, are pictures of the items I've received in my PINCHme boxes. BzzAgent is also a way to test products of all varieties. After you register, they will ask you to take a few surveys about your activities and the products you use. Those answers will help them place you with the right campaigns. Campaigning is simply sharing your honest opinions about the product or products you received from BzzAgent with whoever you want. That could be family, friends, or co-workers. Not only do BzzAgents campaign by word-of-mouth, social media is their greatest tool. When you sign up, you're encouraged to connect all your social media accounts. During your campaign, you'll be tweeting, sharing on Facebook, and pinning on Pinterest. Campaigns run for eight weeks. So, you'll have plenty of time to buzz. The Pink Panel is a consumer panel that specializes in getting feedback from women of all ages about beauty and personal care products. There are so many fun and exciting ways to participate. You get the chance to try new products and receive an incentive just for trying them. The incentive may be a gift card or more beauty products. 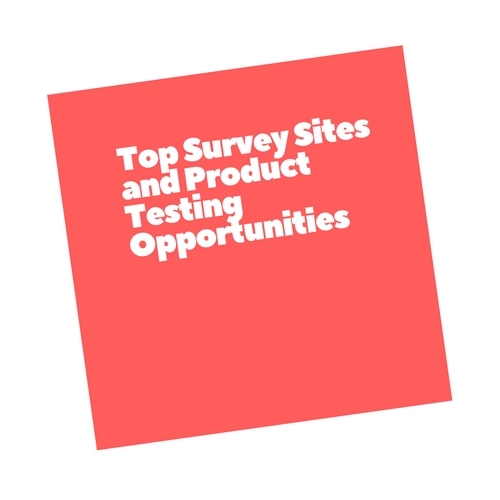 Even if you’re not chosen for a product test, there are other ways to participate. They send out surveys to every member. Take a survey and you could win gift cards, prizes, or products. L’Oreal USA Consumer Participation Program is recruiting women and men, 18 years old and up. Sign up today and test hair and skin products. Currently, they have on site testing opportunities for people living in New Jersey and Ohio. But, for those who can’t make it to on-site testing, L’Oreal will allow you to test products from your home. MySoapBox gives their members more than one way to earn. You can take surveys, participate in product tests, and more! Every completed activity builds up your points. And most of the activities offer quite a few points. 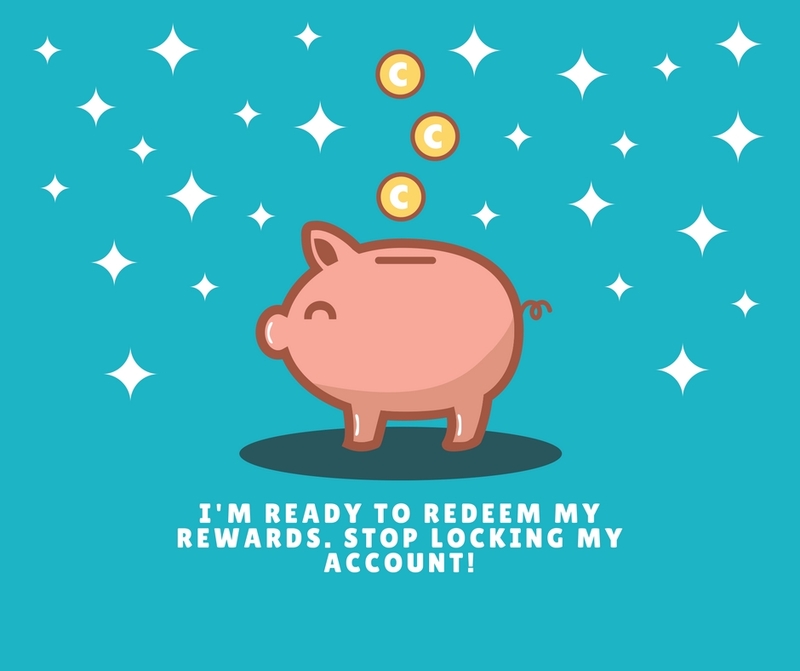 A few of the rewards start at 1,000 points, so you could easily redeem a reward after taking one survey. Sounds good right? Well, new members might not like this part. New members have to earn 25,000 points to start redeeming prizes. MySoapBox does this to attract loyal members. After you earn 25,000 points, there will be no more restrictions on redeeming prizes. You will be able to choose from one of their many gift cards. When you sign up with Project Payday Research, you’ll have the chance to test products, take surveys, enter sweepstakes, participate in paid studies and join other panels. Like most product testing and paid study opportunities, you have to be swift when signing up because spots fill quick. Sign up today and earn cash rewards, pre-paid debit master cards, and gift certificates. Influence General Mills products by joining Mills Advisory Panel. Most of their studies involve taking surveys. After you do a survey you’ll be awarded MAP points (Mills Advisory Points). You can redeem those points for Amazon gift cards. Though, not every project will be the same. Some projects might reward you by letting you keep a product you were asked to review. Sign up today to receive study invitations and have your voice heard. Earn Microsoft Rewards by searching on Bing.com. Did you know it was free to join Microsoft Rewards? All you have to do is sign into your Microsoft account and search with Bing. Make Bing your default search engine in your browser and earn points. You can earn points by taking quizzes as well. Redeem your points for gift cards, donate your points to nonprofits, and enter sweepstakes. Unlock your Streak Bonus points by going to your rewards dashboard every day and completing activities. The more activities you do, the higher your Streak Bonus becomes. Another upside is, when you reach 500 points you move to level 2. At level 2, you can earn 5x more points and get closer to your reward. In order to stay at level 2, you have to earn 500 points every day. Start earning Microsoft Rewards Today! Earn Cash, Gift Cards, And Prizes Using These Mobile Apps! It's important to remember that taking surveys will not make you rich. But, it is a simple way to earn some extra money without leaving your house. 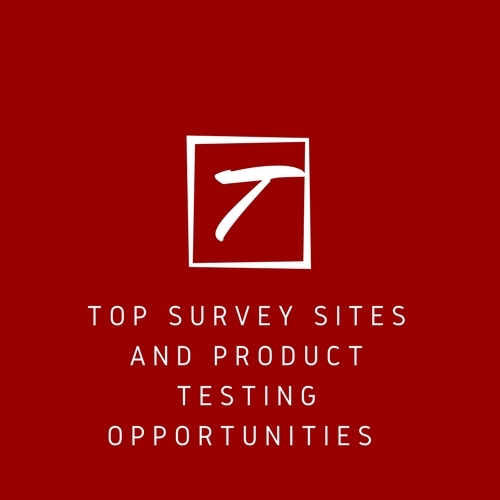 If you know of any survey companies or product testing opportunities that would make a great addition to this list, I would love to hear about them in the comments.